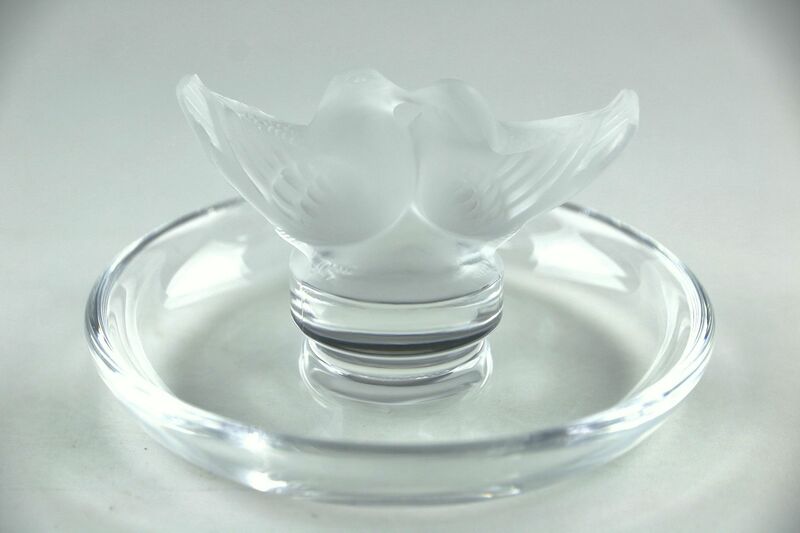 A crystal ring tray with etched kissing birds is signed "Lalique France." Size is 4" wide and 2" tall. Please view 6 photos at full screen size for best detail.